How about some booze to go with your buzz cut? 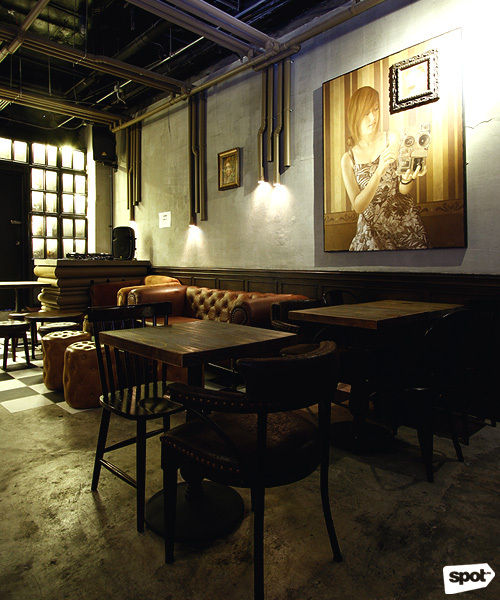 Open daily from 6 p.m. to 2 a.m.
(SPOT.ph) It’s almost like falling into Alice’s rabbit hole. From the brightly lit barbershop, you enter a secret room with lights emerging from exposed pipes, customized leather couches and metal chairs, and dream-like paintings hanging from the walls of its spacious interior. 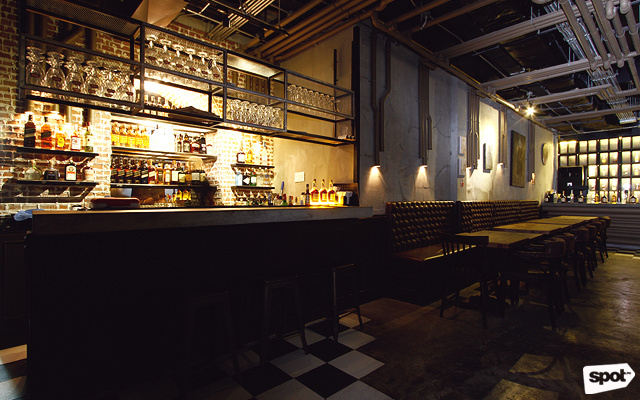 But this surreal speakeasy goes beyond its visual appeal. One would usually go to a barbershop to get a quick grooming session—but the owners of The Thirsty Barber have set themselves apart by creating a hidden bar behind this man-cave’s walls. 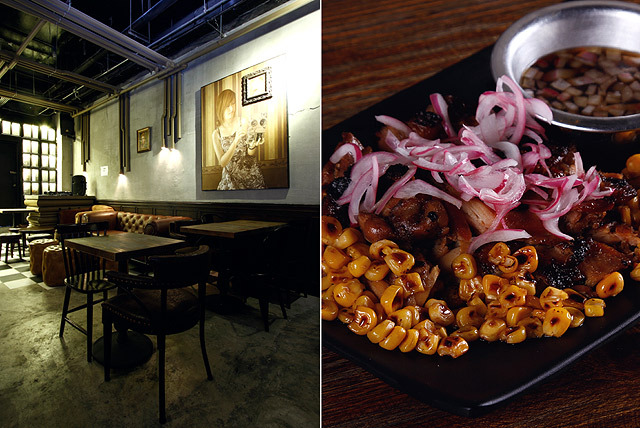 Tucked away on Wilson Street in San Juan City, there is a pub concealed behind an innocent-looking wooden shelf. One of The Thirsty Barber's owners, Byron Lim, shares that the idea came from a friend’s recent trip to a hidden bar behind a barbershop in New York City. 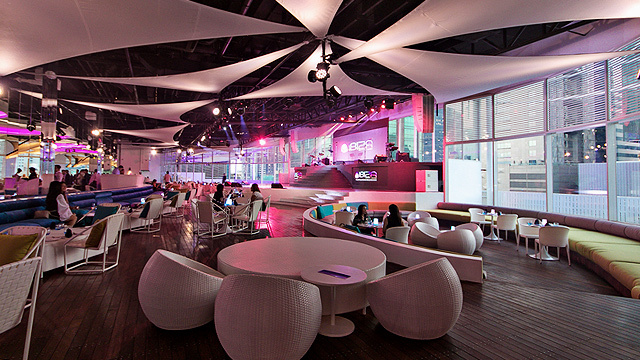 “'Yong bar, they didn’t have any food. The culture there is you eat at a diner after drinking. Alam naman natin na ang mga Pilipino kapag umiinom, dapat may pulutan,” he says. Masterchef Philippines winner Chef JR Royol makes sure that The Thirsty Barber’s menu captures the spirit of Filipino bar chow by whipping up dishes that use local ingredients. 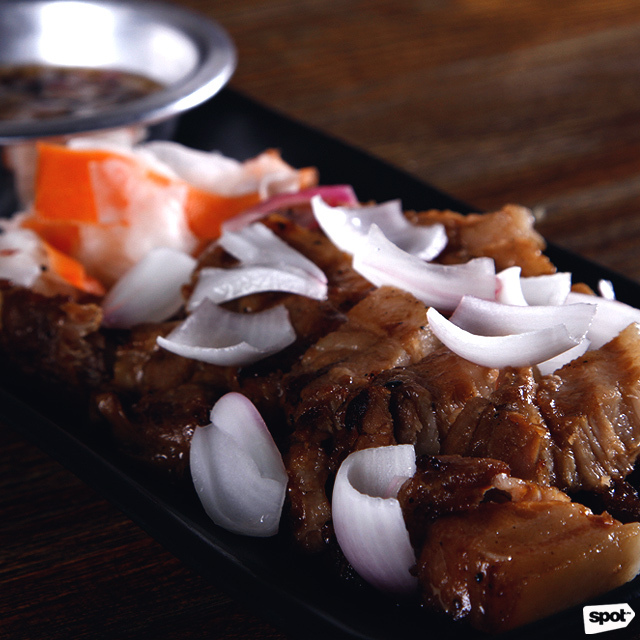 If you’re looking for an instant kick, their Tapang Barako (P295) is sure to jump-start your drinking session. 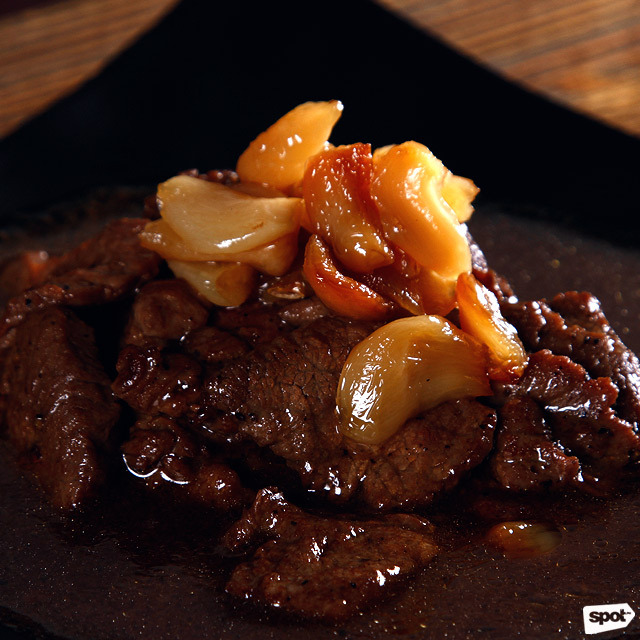 This local beef tenderloin plate is smothered with silky butter infused with kapeng barako. 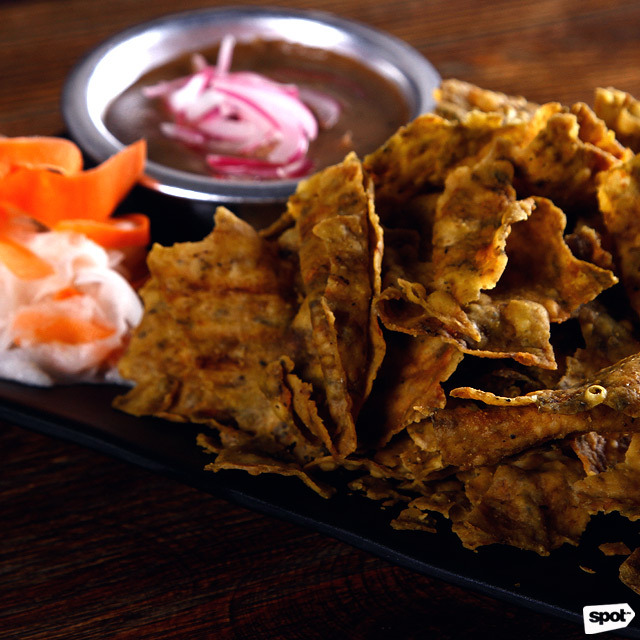 Prepare to get your fingers dirty with the Mussel Chips and Kilawing Talong Dip (P260). The dip alone is excellent, with its perfect harmony of briny flavors from the grilled eggplant together with the rich coconut cream. Nestled in a bed of corn kernels is a thing of beauty—a hefty slab of Five Spice Grilled Chicken (P275), which goes well with the soy-vinegar dip. 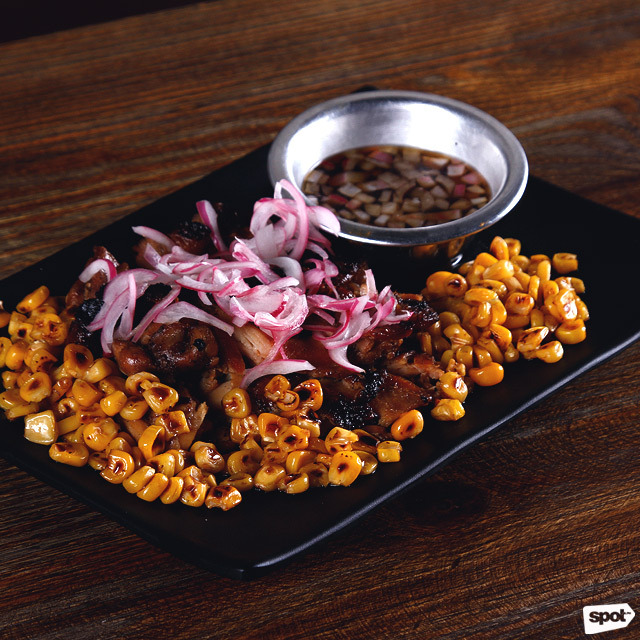 You also don’t want to miss their Pulpog (P265), a grilled pork belly dish generously seasoned with spices, that just melts in your mouth. 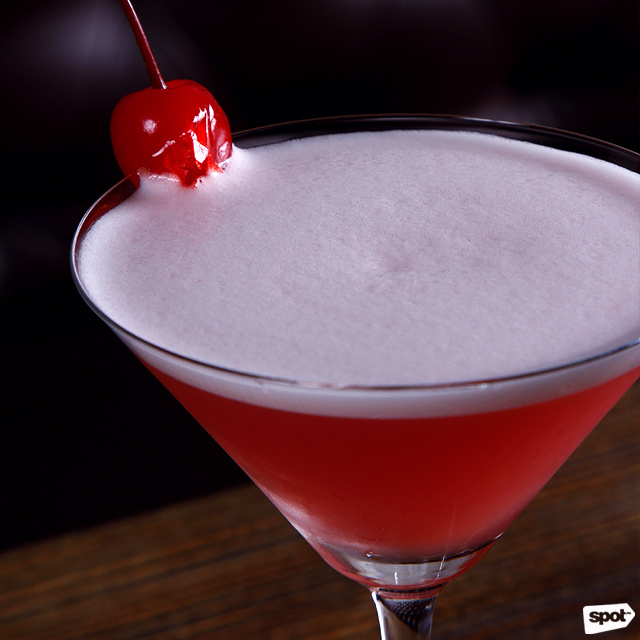 Complement your bar chow with their creatively named signature cocktails. 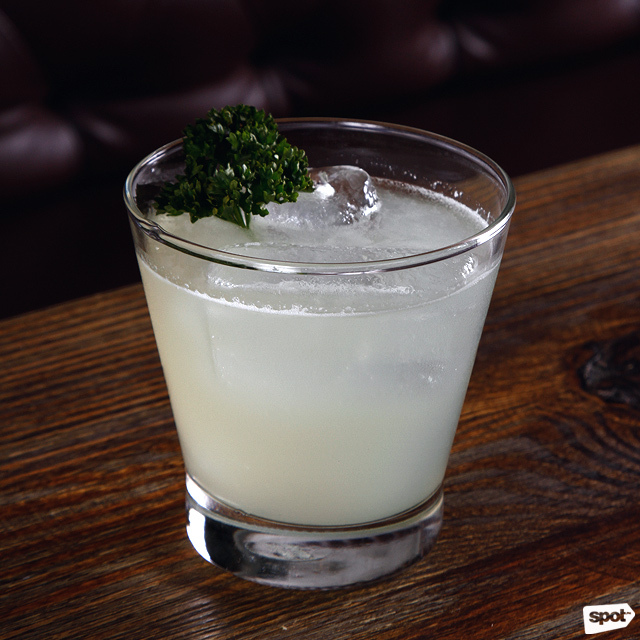 For starters, make a beeline for the refreshing Blunt Scissors (P215) that’s made with cucumber, parsley, Stolichnaya vodka, lemon, sugar, and soda water. The Don’t Play Dead (P235) will get you pumped for the humid summer season as it contains fresh watermelon, vodka, tarragon, sour mix, sugar syrup, and egg whites for a creamier finish. If you’re feeling a little adventurous, don’t miss out on The Under Cut (P220), which is made with tequila, orange, bell pepper, sour mix, and a generous heap of cayenne pepper. For those who like their beer fresh from the tap, they also offer the first Stella Artois (P165) draft beer in San Juan City. 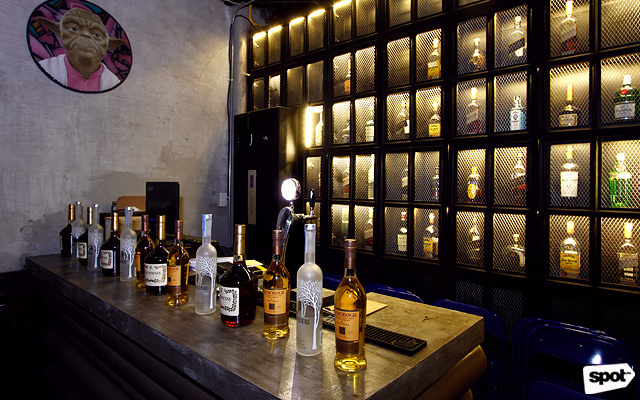 If you and your friends feel like guzzling down a bottle of cognac, vodka, rum, or whisky but can’t finish the whole thing, don’t worry because The Thirsty Barber has dedicated an entire wall to keeping your unfinished bottles for free so you can come back and enjoy your liquor anytime. In life, it’s always thrilling to discover a secret. With The Thirsty Barber’s good food and chill ambience tucked away from the noise of the city, this undercover bar makes sure you stay on and come back even after your regular grooming session. 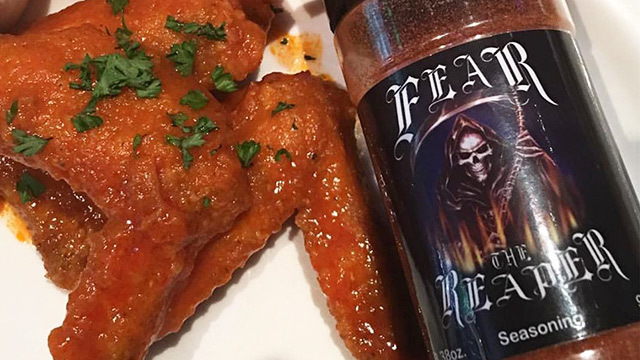 Are you up for this spicy-wings challenge?